Kitty Bee Designs - Get Well Soon Panda Card! Hi! I'm popping back in today to share a cute Get Well card using an adorable Kitty Bee Designs Get Well Soon Panda 1 Digital Stamp. How can tiny bandaids be so darn cute?!! I'm still having fun using the awesome Paige Evans Pick Me Up papers and thought they'd be perfect with this cute card, making anyone who's under the weather feel a little bit better. I coloured this panda cutie with coloured pencils and added Glossy Accents to the little bandaid and cast to add some dimension before cutting him out on a YNS Stitched Tag Die. I really love how quick and easy this guy can be coloured up with a little shading. I used a sentiment from Pretty Cute Stamps on a Spellbinders Tab Die along with a few cute Pretty Pink Posh heart stamps, which I also added Glossy Accents to. I really love the Bamboo Stencil from Little Birdie Crafts - it worked great with some Evergreen Bough Distress Ink to add a bit more colour to the tag. A beautiful Little Birdie Crafts handmade paper flower and some SpiegelMom Scraps sequins finish off this bright and colourful card. Inside I used another sentiment from Pretty Cute Stamps and stamped three more tiny hearts. Scrap Shotz - Pick Me Up Card Gift Set! Be sure to check out the photos of each one with closeups and details at the Scrap Shotz Snap Shotz Blog! Thanks so much for stopping by today. I hope you have a fabulous and crafty week! Weekend Update, SMS Layout & Junk Journal Giveaway!! Hello! I hope you all had a wonderful weekend! The time flies so quickly... We did a bit of sledding with the girls on the Saturday since it was finally warm enough to venture outside as long as we were bundled up! My husband celebrated his birthday and I tried out a Duncan Hines Carrot Cake, which was surprisingly awesome! Sometimes I'm just too tired to bake a cake, so I opted to go the cake mix route, and we all loved it. We ventured across town to the Farmers Market on Sunday where I had my favourite Chicken Tortilla Soup and we did a little shopping and picked up some mini Simon Says Pies to take home. The dessert pies are about a 4" pie shell filled with many different types of yummy fillings!! The girls tried out a couple new sleds we recently picked up! And here's the layout I shared over on the SpiegelMom Scraps Instagram Feed last week. In September we got our family photos taken and they are beautiful with the pretty Fall colours in the background. I'm planning a few different layouts to go with the Fall theme, but for this page I really wanted to use the photo with these lovely Paige Evans collections so I changed it to black & white. I really love the look of it, and I think I need to scrap some more B&W photos! Be sure to check out the IG post HERE to see closeups, details, and see the layout by Brianna Lepper that I scraplifted to create this page! 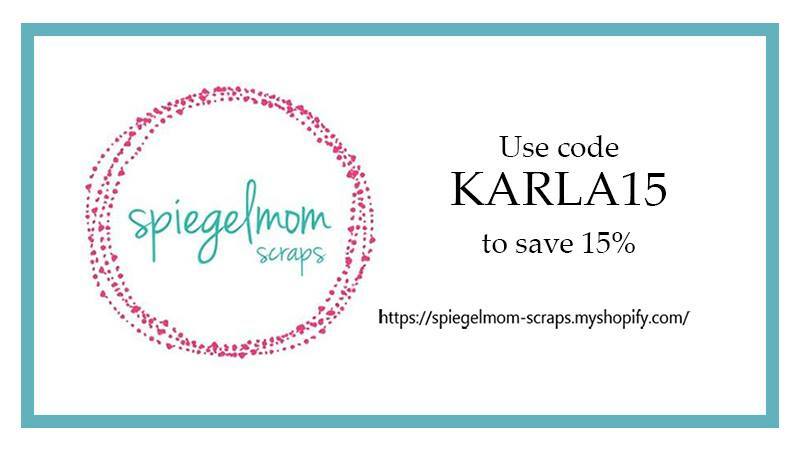 Don't forget to use the code KARLA15 to save 15% off all your purchases at the SMS shop! 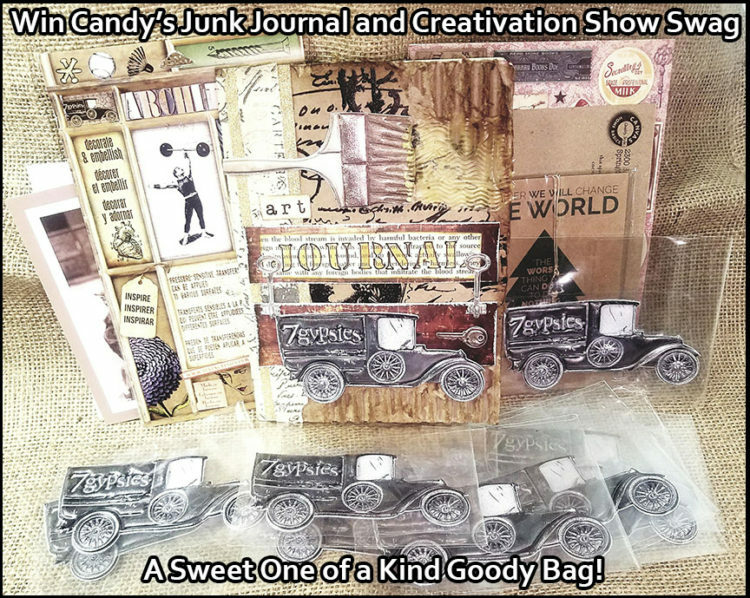 Lastly, today I want to share a fantastic giveaway over on the Canvas Corp Brand Creative Studio Blog - a Handmade 7gypsies Junk Journal and Creativation 2018 Swag. There are just a couple more days to leave a comment on the blog post to be entered to win - the draw is March 1st. If you haven't checked out the Creative Studio Blog, there is so much inspiration on it, it's well worth a look! Kitty Bee Designs #112 - AG with optional Love/Marriage! Hi Friends! I hope you've been having a lovely week so far! I've had lots of fun creating projects lately and here's one more for you! It's time for the midweek inspiration for Challenge #112 over at the Kitty Bee Designs Challenge Blog - Aloha Friday! For this challenge I'm using a pretty digi image from Bugaboo Stamps - Live Laugh Love Rose Block. I wanted to create a vintage mixed media tag using this image, so I grabbed some fun supplies and got inky! I printed the digi image onto white cardstock and coloured in the flowers, butterflies and leaves with Prismacolor and Hobby Colour Markers (alcohol based) before using Distress Inks to sponge a blended ink layers over the background. I heated the image first with my heat gun to help prevent ink bleeding. Then, I added Versamark Ink over top and shook on clear UTEE, which is a thick embossing powder. I layered on 3 coats of the UTEE, heating and melting the powder each time, and then after it cooled completely I bent it carefully in different directions to add vintage cracks in the surface. I started out by stenciling the background of a black chalkboard paper tag with Distress Oxide Inks for a subtle hint of colour. Then I used a craft stencil from Little Birdie Crafts and some of their Wild Wasabi paint to add some pretty leaves over the background. I added a Tim Holtz Paper Doll image, which I coloured in a bit with Prismacolor Markers, some pretty blue glitter from Little Birdie Crafts, and some lovely Chocolate Cookies Sequins from SpiegelMom Scraps to finish it off! Scrap Shotz - Baby In The House Layout! Hello! I'm sharing a cute layout and pocket page over on the Scrap Shotz blog today that I wanted to give you a peek at. Last summer my youngest sister and her family came to visit us, and it was our first time meeting my adorable little niece, Emily! I'm so happy I finally got to make these layouts and get these wonderful photos into my album 💗 I'm using the amazing Paige Evans Pick Me Up collection by Pink Paislee that you can find in the Scrap Shotz store!! Scrap Shotz is a Canadian Retailer, who ships internationally, so be sure to check out the shop. Here's a look at the first page, which is a traditional 12x12 layout. I'm using a sketch from the Stuck?! Sketches blog, which I turned on it's side. And here's a look at the pocket page where I used more of the delicious Pick Me Up collection! Just love those sweet baby cheeks! I'm sharing my process to create the layout in this video! And be sure to have a look at the pieces of this collection that I'm using today here in this video! Thanks so much for stopping by! Be sure to head over to the Scrap Shotz blog to see closeups and get all the details as well as the sketch I used!! Wishing you a fabulous week ahead! 7gypsies Video - Creating A Wall Hanging! Hi friends! I hope your week's been great! We've had lots of snowy weather, and the kids have been off the last couple days - so lots of inside activities! I have a video to share with you today over on the 7gypsies YouTube channel - How To Create A Wall Hanging Using A 7gypsies Banner. This was a gift I made for my sister at Christmas, and I really love how it turned out! I used the Vintage Hot Air Balloon Banner, but you could use any of the 7gypsies Vintage Banners for a wonderful handmade gift. You can check out my process to create this pretty banner HERE or watch the link below. Thanks so much for stopping by today! I hope you have a wonderful weekend with some happy, crafty time for you! A Couple More Valentines Day Cards! Hi! I hope you had a lovely weekend! We pretty much stayed in... I think I'm ready for winter to be over! But I did do some crafting and played games with the girls, and we had a lovely relaxing couple days. I wanted to share a couple more Valentines with you, and this cute alien stamp has been in my stash for a while just waiting to come out again! It's a Simon Says Stamp set from a few years ago when I was getting their card kits. I stamped this cute guy on Bristol cardstock and coloured him with Jane Davenport Mermaid Markers before cutting him out with a Your Next Stamp tag die. The cute eyes look googly after I added Glossy Accents. I used a Waffle Flower Patched Layers die to create a fun blanket stitch look around the Recollections Valentines paper from Michaels and then added the Your Next Stamp cloud dies that I stamped with the sentiment that came with the alien stamp set. And, here's a look at the cute Valentines card I shared last week on the SpiegelMom Scraps Instagram feed using SMS Sequins, a FREE cutfile and an adorable digi image from Gerda Steiner Designs. You can find all the details as well as a look at the inside and a closeup HERE. Tattered Angels - Easy Art Projects To Create With Your Kids! Hello! I hope you're having a fantastic week! We had a huge snowstorm yesterday and today with freezing cold temps, so I've been inside as much as possible. I'm not complaining - there are always lots of crafty projects I can get to inside 😉 Today, I'm sharing this video, 'Creating With Your Kids Using Tattered Angels' where my kids are creating art with my Tattered Angels supplies! The girls are 6 and 11, and it's not always easy to find projects they are both interested in doing, but they had so much fun making two beautiful backgrounds each that are ready to frame. You could even make these yourself quickly and easily! I'm even thinking a last minute gift to pop in a frame...! Here's a look at the beautiful finished pieces and some closeups. I love the colours they chose to work with! Thanks so much for stopping by today! I hope you grab some of your art supplies and try these techniques or if you have little ones at home, let them play around too! You're A Wild One Layout and Other Crafty Stuff! Hi! I hope you're having a wonderful week! It's back to being quite chilly here and we've gotten more snow, so a good reason to stay inside and get crafty ;) Saturday I went to a friend's house with my sis and friend and lots of other crafty gals and we took a class from Sherry Telle, who is a talented artist who taught an alcohol ink painting class using Pinata Inks, Yupo paper and tiles. It was so fun to watch her create and then to get to try out our own styles using her supplies. With just a few supplies we were able to create beautiful mini works of art! The Yupo paper is such a great surface to play on, but you do never know what you'll get as it dries! That's half the fun of it I think! My sister, Jann is a natural and created gorgeous samples! She framed three of hers in a frame, one above the other, and they looked amazing. The Pinata Inks are so vivid - I even brought the plastic plate home! I also wanted to share this cute layout I created for the SpiegelMom Scraps Instagram Feed last week! 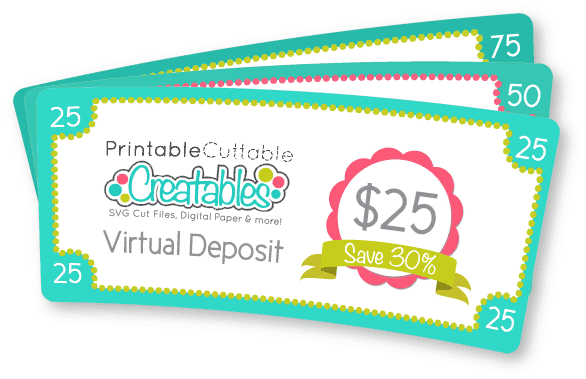 Our theme this month is Love and Cutfiles, so I played around with some Cricut cuts in Design Space that I used with my Cricut Explore as well as some FREE cutfiles from the SMS shop! 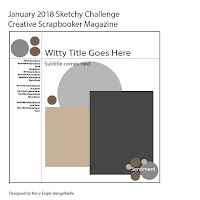 I used the January Sketch from Creative Scrapbooker Magazine Sketchy Challenge. Each month they have a new sketch to inspire you to create, as well as a gallery full of amazing layouts from other scrapbookers. Be sure to check out all the details on this fun layout over on IG! 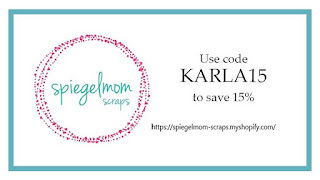 Don't forget to use the code KARLA15 to save 15% off all your purchases at the SpiegelMom Scraps Shop! Thanks so much for stopping by today! I hope you have a warm and cozy week, and don't forget to leave a comment on the Getting Fab With Foil blog hop post if you haven't already! If you get your comment on by Friday February 9th, you'll have a chance to win a package of Ranger Foil Sheets from Scrap 'N Stamp Canada! FCCB #319 - Valentines Day! Challenge #319 - Valentines Day! Make a project using anything heart/Valentine related. But there has to be a least one cut from the Cricut Library! For my project this week I'm using the Sweethearts Cricut cartridge to cut out the large heart and the Love sentiment, along with the Giraffes In Love PCC SVG file to create a sweet Valentine card! I started out by adding a subtle stenciled background using some purple and orange Distress Inks and a heart stencil, and then adding some iridescent embossing powder for shine. I coated the large heart diecut with Tattered Angels Cupcake Glimmer Glam, which has great chunky glitter in it, before layering it on a pieced of pink patterned paper misted with some shimmery spray. I cut out these adorable giraffes and added some Distress Inks to the edges and then layered them on my card. I put some Tattered Angels Chalk Chalkboard Mist into my Wink Of Stella pen that was almost empty and love that it gives a shimmery painted look to the little hearts that come with the giraffe diecut. I added some foam dots to the top layer of the hearts for dimension. A few SpiegelMom Scraps sequins and some white gel pen finish off my embellishing. Inside I stamped a Valentine sentiment and added some more pretty sequins. Thanks so much for stopping by today! Be sure to head over to the FCCB Blog to see what all the other Design Team members have come up with - and enter your own Valentine project that includes a Cricut cut for a chance to win an awesome prize from Printable Cuttable Creatables! P.S. If you haven't checkout out the Getting Fab With Foil blog hop post - be sure to leave a comment before Saturday, Feb 10th to have your name put in a draw for a package of Ranger Foil Sheets!! 'Getting Fab With Foil' Blog Hop with Scrap 'N Stamp! Hi friends! I'm really excited to be part of another awesome blog hop with the Scrap 'N Stamp team, and this month we are featuring the 'Foil-tastic Ranger Foils!! Today I'm playing with the Brights Foil Sheets and the Vintage Foil Sheets, but there are lots of other colours too! If you arrived here from Amber's Blog, you're in the right place. If you want to start at the beginning, head over to see Tara at the Scrap 'N Stamp Blog. Wait till you see the amazing projects everyone creates with these lovely Foil Sheets! I have only played around with foiling a little before now, but I can tell you I am addicted!! I don't have a laminator, and even though I love the look of the foiling techniques using them I honestly wouldn't go out and get one. So, I was really excited to see that you don't need a laminator to use these fabulous Foil Sheets! I played around with a Quickie Glue Pen, some Be Creative Sookwang Tape and Ranger Sticky Embossing Powder to get fun foil looks to create embellishments for this DIY Traveler's Notebook. I'll give you a close up look at each page, but be sure to check out the video where I show you all the beautiful details and how easy it is to add foil to many different surfaces! Here's the cover using some pretty Paige Evans paper, some CTMH stickers, Tim Holtz Botanicals Embellishment Diecuts and SpiegelMom Scraps sequins. I love the effect you get with the Be Creative Tape and several different colours of foil. And, of course this little Julie Nutting paper doll needed a bit of bling on her pretty outfit! A journaling card with a Tim Holtz Small Talk sticker turns into a flap using some washi tape. Inside reveals a couple of sweet girls from the Tim Holtz Paper Dolls. These adorable vintage papers are from October Afternoon, and I love the gold accents I was able to add to the cork arrow! A cute little lady bug peeks out from this flap. Seriously, you can add foil to everything!! I stamped on these Memory Box Postage Stamp Diecuts with a Dylusions background stamp, used the Quickie Glue Pen and foil accents and layered them with a pretty diecut flower from the SpiegelMom Scraps shop that I also foiled. Using the same flower stamp directly on my paper with Versamark Ink and Ranger Sticky Embossing Powder allowed me to add foiled flowers to this page. More diecuts accented with different foil colours and a chipboard star add a vintage feel to this page. A little Kaisercraft tag peeks out of a pocket made from a diecut element in the TH Botanicals pack. How cute is this Paige Evans sofa and the Julie Nutting doll?!! On my last page I used a beautiful image by Jane Davenport cut out of some packaging and a few more foiled elements. Scrap'n Stamp is giving away a Ranger Foil Sheet package for every stop on the blog hop! So make sure to take a moment to comment on all the designers' fabulous work. 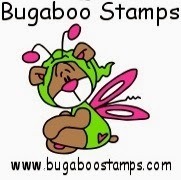 Winners will be announced Saturday, February 10th, and must email Scrap'n Stamp within 2 weeks to claim their prize! GOOD LUCK! This prize is open internationally. Thanks so much for stopping by today! Be sure to head over to Nancy's Blog next to see her beautiful project - and you can check out the Ranger Brights Foil Sheets and Vintage Foil Sheets at the Scrap 'N Stamp store. Have an amazing, crafty weekend - and good luck on the giveaway! You're Magical Unicorn Birthday Card!